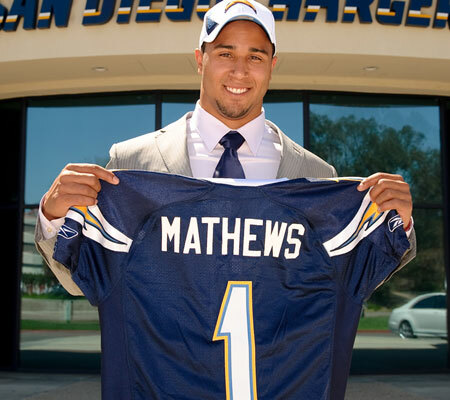 Mathews is still pretty new to the NFL – he was one of the top prospects from the 2010 draft and was picked 12th overall. For good reason too – during his freshman year at Fresno State, he led all NCAA freshman in touchdowns and rushing yard average with 866 yards on 145 carries with 14 touchdowns. 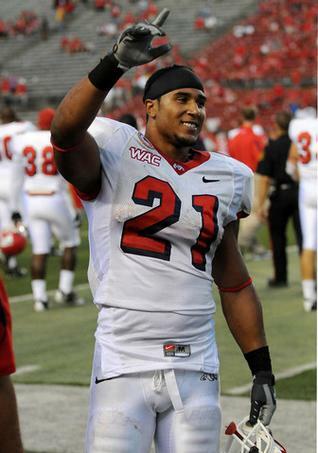 Junior year, he led all of college football in rushing with an average of 150.67 yards per game in 12 games. 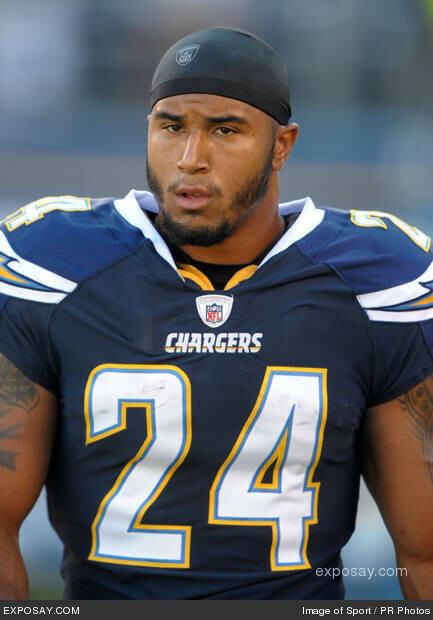 Though his first season was a little rough, he’s slowly making up for it this year (and making me a happy fantasy team owner) and now that he has my attention both with talent and, well um, impressive exterior, I’m excited to see what he’ll contribute with Rivers in the next couple years to come. Plus, how could you not have a crush on that smile? This entry was posted in Advent Calendar of Hotness, Are You Ready for Some Football?, Buffalita, FOOTBALL, Hotties With Ink, NFL, Putting the 'fantasy' in fantasy football, San Diego Chargers, Shirtless Man Alert! by buffalita. Bookmark the permalink.